Lube Oil Filter (Synthetic Blend), Tire Rotation, Alignment, Brake Inspection. 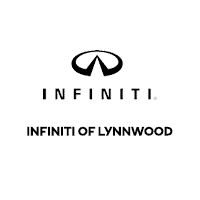 ***Valid only at INFINITI OF LYNNWOOD. May not be combined with other offers, INFINITI vehicles only. Coupon must be presented at the time of write up. Tax, shop supplies & environmental fee excluded. Up to 6 qrts of synthetic blend. $10 OFF Blend Oil Change or $15 OFF Full Synthetic.